Road Rally Photography by Chelsey Searle. Small Fry, Cara Loren, Freshly Picked and The Shops at Riverwoods are pleased to present our First Annual Road Rally Recap! The Road Rally Officiator (also Provo City’s Mayor) John Curtis ran a tight ship with races every five minutes all morning! The kids just couldn’t get enough. While the kiddos waited for their age group to compete they grabbed Marley’s killer sliders and fries (try the Handsome Rob!) and Awful Waffle’s amazing Belgian Liege delights (can’t beat a strawberries, Speculoos, and cream!) Our awesome DJ (DJ K Face) kept us all dancing and excited! The Smilebooth was a huge hit and the line to get an official race snap shot was epic! We loved watching these enthusiastic racers hug the corners in their bikes, trikes, scooters, and wiggle cars. It was a real melting pot of transportation! Each contestant received a shiny medal and we keep seeing kids around town wearing theirs, even a week later. Sometimes just being a part of something fun is better than winning any race, isn’t it? As always, we can never put together an event of this magnitude without awesome partners who share our vision for staying active and healthy as a family. Ergo baby carriers are a must have for adventuring while you still have babies around. // Reusable swim diapers from the brand new and super hip kids line Loola. // The Bugaboo Travel Pack is a must have for holiday vacationing. // Naturebox is all about healthy snacks that excite your taste buds, they’re monthly subscription offers new travel ready foods that the whole family will love. //The Aden and Anais Day Dream blanket is thick and luxe, but lightweight enough to be on-the-go. // The Koostik speaker from Sweet Relish is perfect for music anywhere you find yourself. // FirstBIKE balance bikes, the perfect prelude to riding a two wheeler, the balance bike promotes natural balance and will work for one kid from ages two to five! // Momegranate (on-trend and fashionable daily picks that keep us coming back for more) sponsored an awesome beach cruiser giveaway! // What event sponsored by Freshly Picked wouldn’t include her infamous moccasins? // We love Louis B.‘s rad little duffle bag for packing your little one’s adventure necessities. // Blickenstaff’s is a local toy store and it is absolutely flawless, everything they sell you would proudly display because it is beautifully made and has that nostalgic feel. This better quality wiggle car is durable and our kids’ favorite! 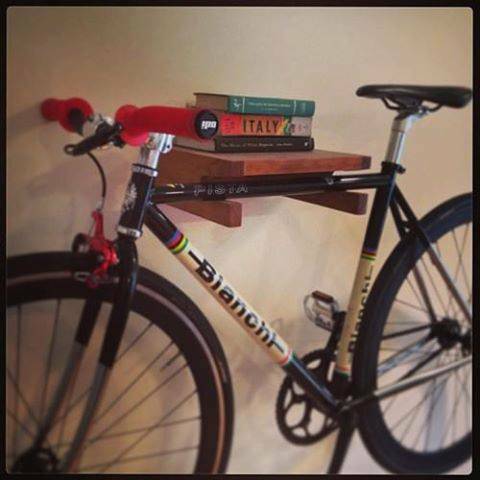 And finally, huge thank you to The Workbench for making these gorgeous wooden bike shelves. This local shop makes the most beautiful handmade pieces, check out the whole collection here. Did you make it through the endless thank yous? Now for your reward! We had such a great laugh looking through the Smilebooth Road Rally photo albums from the day, keep reading to see some of our favorites! That looks like so much fun! I would love to organize something like this in my area! You guys are always such an inspiration. Thank you!